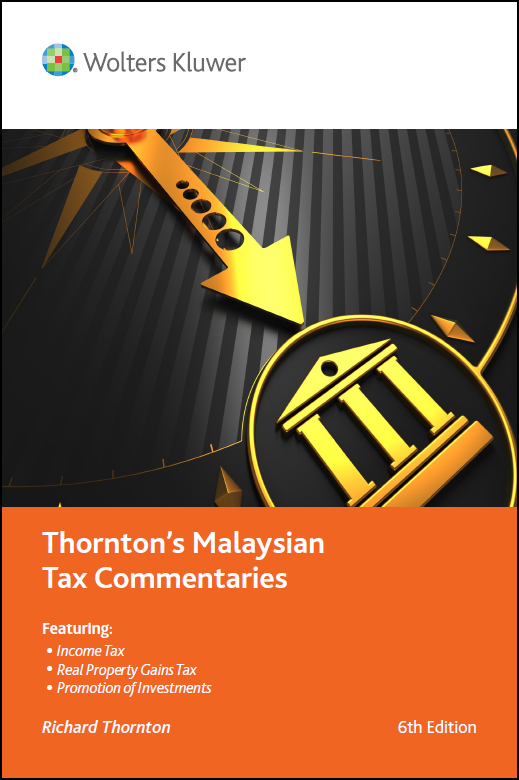 Thornton’s Malaysian Tax Commentaries launching soon! The 6th edition of the popular WK Thornton’s Malaysian Tax Commentaries will be available for purchase on 22 April 2015! Thornton’s Malaysian Tax Commentaries is an in-depth and up-to-date commentary on the Income Tax Act 1967, Promotion of Investments Act 1986 and Real Property Gains Tax Act 1976. It provides the full text of the law side by side with a detailed commentary on the most important sections. With a wealth of details to help with the interpretation of both straightforward and obscure issues, the book is an invaluable guide for tax practitioners, accountants, lawyers, lecturers and students, and in fact, anybody who needs to understand more about these taxes. The tax law is not static and this well-established book has been fully updated to take account of new developments, including the changes brought about by the 2014 and 2015 budgets, as well as a range of new and revised public rulings and PU orders. The 6th edition of the book is now in dual colour for easy reading of the commentaries. All relevant PU orders (of which there are now well over 200) are provided in a detailed listing in the book and access to the orders themselves via a hyperlink. The commentaries contain useful comment on case law both Malaysian and, where relevant, overseas, which are kept up-to-date by the inclusion of new material. They have also been enhanced by cross-references to all current Inland Revenue Board Public Rulings. This edition takes into account all changes in the law which have been gazetted up to 24 March 2015.